My name is Hannah Morris and I started raising funds for just ONE person. I knew I could end up raising funds for TWO people to include my friend Alex. I am now raising funds for people in my area to get their name and gender marker changes done. In totaly, i am currently talking with FOUR individuals to navigate this process. We are working to research every best possible to way get this work done and in a way that will benefit the most people. THANK YOU TO EVERYONE WHO HAS DONATED THUS FAR. My name is Hannah Morris and Madeline is a good friend of mine. Madeline is a transgender woman and I am her In Case of Emergency contact. 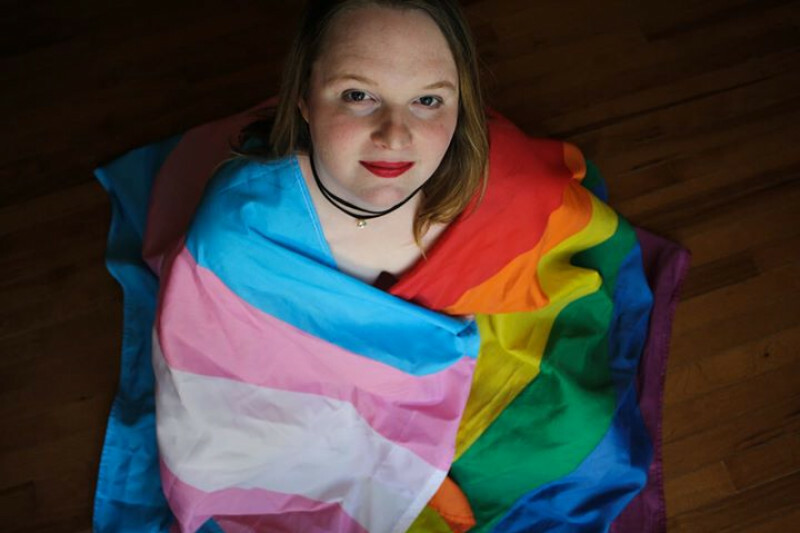 This year has been deadlier for transgender women than 2015. And 2015 was higher than 2014. Even yesterday, on Election Day, we added a new name to the list of the dead. It has us all having dark, morbid conversations. So Maddie asked me to be her In Case of Emergency contact. And here is where it is very saddening to me: I had to ask Maddie her old name (a HUGE taboo) -- just in case something happened. And then Maddie and I agreed she should carry a paper in her purse that says HER name and gender on there... and my name and number too. In the event of an emergency and the phone rings, the person on the other end of the phone will be giving information about the person listed on the identification card. It is very important that we get Maddie's information changed to reflect who she is. THIS IS A SAFETY CONCERN. THIS IS URGENT. We must get this paperwork filed to the court and heard by a judge as soon as possible. Time is very important right now. To get a name change in East Texas, we MUST hire a lawyer. In the State of Texas, there is no law that exists that says a judge has to sign a gender marker change. We know of a lawyer. The total cost to hire the lawyer and the court costs is just under $1,300.00. We're asking for a little over that to pad for the gofundme fees they'll take out. The Texas legislature reconvenes in January and they've made it very clear that they will be targeting transgender people. We are anticipating violence against the transgender community to increase even more. I want to get this funded in 25 days. THIS IS URGENT! We are asking for direct cash donations, fb pay, as well as through here. Everyone who donates will receive a hand written note from me and Maddie. We can do this. I believe in us. We funded Jasmine's teeth. We funded Zane's Safe Space. We can get Maddie's legal fees together!!!! Once again, I want to say THANK YOU to everyone who took part in this fundraiser, be it sharing, donating money, donating services, -- THANK YOU. With your help, we were able to help so many of our friends and a few strangers along the way! THAT is the power of social media, networking, and grassroots activism, hard work, and direct giving. Thank you to everyone! I hope our story being shared like this will help inspire others to help their local communities. Thank you, everyone. Really. Thank you. THANK YOU, DONORS. THANK YOU. 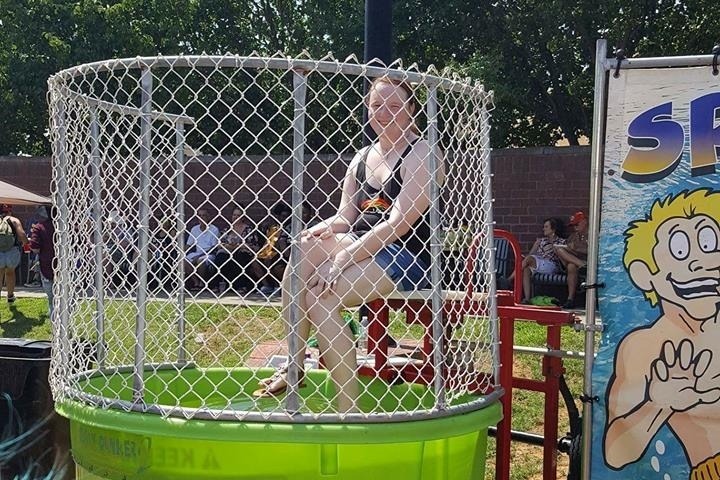 Our ice melted but we used a dunk tank at pride. Steve Adams captured some photos. There's a video of me getting dunked. 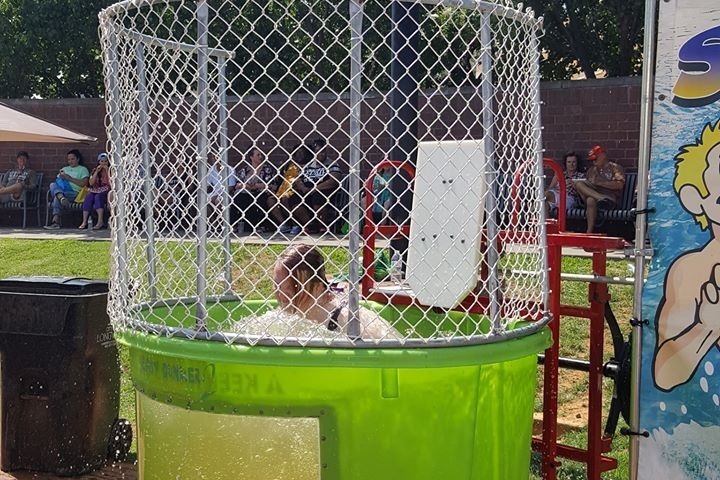 I was having so much fun watching MAddie get dunked I forgot to film hers! But Steve Adams got photos! 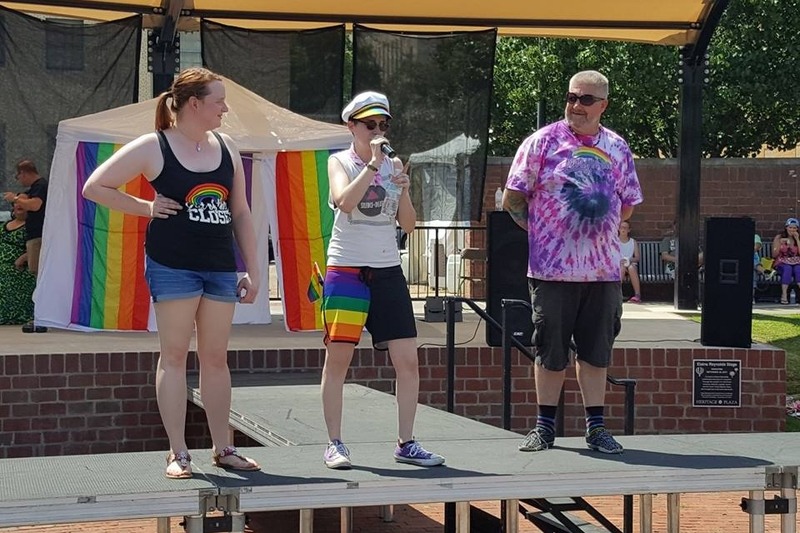 Maddie and I thought it would be very fitting if we did the ice bucket this Saturday Longview's 5th Annual Pride Celebration. Again, THANK YOU to our beautiful community and network of supporters. Do yall realize you helped raise $4,085 to help with name and gender marker changes?!?! WOWZERS. Handwritten by Hannah and Maddie. Please send us your mailing address so we may send it. Hannah will record a video shoutout plus thank you notes from the girls. Hannah will pour a bucket of ice over her head on Facebook Live and thank you notes from the girls. The sum total of our latest ask for money from donors who gave offline. THANK YOU SO MUCH.